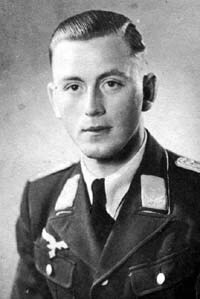 Hermann “Anatol” Lücke was born on 2 June 1920 at Schwartoldendorf in the Holzminden region of Niedersachsen. Lücke was posted to the Ergänzungsgruppe/JG 54 based in East Prussia in September 1941. In December he was transferred to combat duty with 3./JG 54 based on the Eastern front. In May 1942, Lücke was transferred to 9./JG 51. He gained his first victory on 2 August, when he shot down a Russian Il-2 Sturmovik ground-attack aircraft. Lücke was transferred to Ergänzung-Jagdgruppe Ost in September 1942, to undertake instructing duties. He had five victories to his credit at this time. In February 1943, Lücke returned to combat duty with 9./JG 51. Between 8 May and 21 October, Lücke shot down 73 Russian aircraft, including seven Il-2 Sturmoviks, in less that 15 minutes, on 10 June to record his 16th through 22nd victories, seven victories on 5 July (26-33), 39 victories in July alone, including the 800th victory for 9./JG 51, and five Il-2 Sturmoviks shot down on 27 July (54-58), including the 6,000th victory of JG 51. On 1 August, Lücke’s Fw 190 A-5 (W.Nr. 1310) was rammed by a Russian opponent. Lücke was able to bale out of his stricken aircraft, although he received wounds in the incident. He returned to combat duty at the beginning of September, following recovery from his wounds. He shot down JG 51’s 7,000th victory on 17 September. On 23 October 1943, Lücke collided with another Fw 190 on take-off in his Fw 190 A-5 (W.Nr. 7206) “Yellow 10” at Kosinskiy. Seriously injured, he was taken to the military hospital at Mosyr where he succumbed to his injuries on 8 November. Oberleutnant Lücke was posthumously awarded the Ritterkreuz. “Anatol” Lücke was credited with 78 victories. He recorded all his victories over the Eastern front, including 14 Il-2 Sturmoviks. Additionally, he recorded three further unconfirmed victories.